Tom’s overview is split into four parts, so we’ll cover each part separately. Part one was Monday and part two was Wednesday, here’s the third part. Problems with productions have plagued us for years and none are more prevalent than load file errors. I recall a consultant in Seattle nearly 20 years ago who spent 2/3 of his times cleaning up Summation load files for clients. And the problems haven’t decreased as technology has improved. One of the biggest issues I see is parties agreeing to production specifications without understanding what they are agreeing to. A classic example is the more technologically sophisticated party requesting tiff, text and load files as a production format and the other party agreeing without realizing what that means and the process necessary to do it correctly. We also frequently see productions that don’t have the corresponding metadata fields to aid in filtering and searching the production sets, but then counsel becomes frustrated when they can’t accurately search for dates, recipients, file names or other useful metadata fields. Just as placing data in the wrong row or column of a table renders the table unreliable and potentially unusable, errors in load files render the load file unreliable, and any database it populates is potentially unusable. Just a single absent, misplaced or malformed delimiter can result in numerous data fields being incorrectly populated. Load files have always been an irritant and a hazard; but, the upside was they supplied a measure of searchability to unsearchable paper documents. What are some common load file errors? Mismatched line numbers: Each line in a load file corresponds to a single document. Thus, the number of lines in a load file must match the number of documents being imported. If they do not match, a common cause is an extra line break in the load file. Delimiter errors: Comma and semi-colon are commonly used delimiters but if a comma appears in some text being loaded …say “Apple, Inc”, it may be interpreted as a delimiter in the wrong place. Pipes ( a vertical line) are an excellent example of a once common delimiter which can be read as another instruction by some SQL and .Net databases. Encoding: Some programs prefer a certain background computer language. Many older databases for example preferred Unicode Standard (UTF-1, UTF-7, UTF-8, UTF-EBCDIC, UTF-16, UTF-32) or ASCII. Importing data from a database that is not consistent with the database you are using may lead to problems. Overlaps with document or Bates numbers: Documents that come from different sources in a case may have Bates numbers that are repetitive or have some portion of their sequence that overlap with each other. Page number difference: The number of pages in the load file may differ from the actual page count of the document images themselves, typically because of single page vs multi page image discrepancies. Uploader at incorrect stage: An error message that the loading process is not working smoothly, usually when the screen display shows that you are on one step of the upload, but the uploader recognizes it’s actually on the next stage. Timeouts on reading data error: The upload has stopped, either because of an internal issue or an interruption in internet connection. Encountered non-separator: Typically a typo in the load file and the load has stopped. Multiple native files: Multiple files with the same name as a document present in the native path, often a native file and an image file with the same name. Conflicts with a previous loaded image: The load file is pointing to multiple images for the same document page and the conflict must be resolved. Error with image reader: Usually means that the uploader could not read the image file. Error finding load file or directory: Most often occurs when the user is trying to upload from a network but the upload tool is either defaulting to a local drive or the user doesn’t have rights to the network. We’ll publish Part 4 – Recommendations for Minimizing Production Mistakes – next Monday. So, what do you think? Have you experienced problems with document productions in eDiscovery? As always, please share any comments you might have or if you’d like to know more about a particular topic. I know that working on some eDiscovery projects with difficult clients or opposing parties could get you thinking of murder, but, as I said before, I don’t know why anyone would consider committing a murder these days with DNA and all the ways we are tracked by Internet of Things (IoT) devices. However, if you like to solve murders and are in the DC area (or plan to be in mid-May), here’s an event that’s for you. Even better, your participation helps benefit a great cause! All proceeds from the event will benefit the Capital Area Food Bank (CAFB), which is the largest public, non-profit hunger and nutrition education resource in the Washington Metropolitan Area. The mission of the CAFB is to feed those who suffer from hunger in the Washington, D.C. Metropolitan Area by acquiring food and distributing it through their network of member agencies; and to educate, empower and enlighten the community about the issues of hunger and nutrition. Each year the CAFB distributes 20 million pounds of food, including six million pounds of fresh produce through over 700 partner agencies. The Mansion on O, located in Dupont Circle, is noted for eccentric interior styling which includes hidden doors, secret passages, and rooms. Sounds fun, right? The four-story historic building is over 30,000 square feet and contains 100 rooms including guest rooms, a private Social club, the O Street Museum Foundation, and a conference center. Oasis has reserved the exclusive second floor of the mansion which has seven themed rooms: The Gallery, The Russian Room, Candle Room, Tiffany Room, Music Room, Ballroom, and secret VIP only access Speakeasy. Speaking of the Speakeasy (say that three times fast! ), CloudNine is proud to be the Scarlett sponsor of the event, so we’re running the Speakeasy! Thanks to Oasis for including us! Peacock sponsors include Compiled, LightSpeed and Practice Aligned. Plum sponsors (have you figured out the sponsor naming pattern yet?) include Ankura, The CJK Group and H5. The event runs from 7pm to 10pm on May 16th. Ticket prices are: $75 per person to get in. But, if you really want to maximize your experience, $125 per person will include access to the CloudNine Speakeasy, where drinks will be available and a lot of fun will be had. And, you’ll actually get to be a character in the event (no worries, you won’t have to perform). Trust me, you want to join us in the Speakeasy, that’s where the most fun will be! Click here for more information and to purchase your tickets. Remember, it’s for a great cause. So, what do you think? Are you going to be in DC on May 16? If so, come join us! If not, come to DC and then join us! It will be epic. Please share any comments you might have or if you’d like to know more about a particular topic. Tom’s overview is split into four parts, so we’ll cover each part separately. Part one was Monday, here’s the second part. One of the most common technical mistakes lawyers make involve issues with redactions – there are frequent stories that make the news regarding lawyers publishing documents that were improperly redacted. Redaction issues are also the most common error in document productions in eDiscovery as well. There are a variety of issues associated with redactions and they have considerable impact on a lawyer’s ethical duty to confidentiality. Let’s take a look. Some of the more common mistakes I see involve redaction issues on images. And they go back years. In 2009, the TSA released a manual on the Internet that had not been redacted properly. In 2013, a Chicago lawyer was reprimanded when he failed to ensure that personal information was redacted in federal student loan collection actions he filed on behalf of the U.S. government. In 2014, a Kentucky lawyer received a public reprimand for, among other misconduct, failing to redact his client’s social security number in bankruptcy filings he made on her behalf. Also in 2014, The New York Times reportedly failed to properly redact a PDF file of leaked National Security Administration documents and inadvertently released the name of an NSA agent. In 2018, a reporter investigating an SEC settlement with alleged fraudsters downloaded from the federal PACER database an affidavit from one of the defendants in the matter. The PDF file contained about 100 pages of financial transactions that were blacked out in the PDF file. But when the affidavit was copied and pasted into another application’s text file for uploading, the black redaction boxes vanished, revealing all the private financial information that was supposed to be hidden. A clerk at the federal courthouse where the document in question was filed said that the party filing the document was responsible for ensuring that it was properly redacted. Also, in 2018, the school district in the Parkland, Florida high school shootings case, apparently didn’t properly redact a document regarding the alleged shooter, which contained confidential information about him. A Florida newspaper reported that the method used “made it possible for anyone to read the blacked-out portions by copying and pasting them into another file,” which the newspaper did — drawing a contempt threat from the judge presiding over the criminal case. The last point above involves issues for documents that have been generated in a software and then either converted or printed before redaction. Edit out sensitive information BEFORE converting. Sometimes redaction involves paper. Hard to believe but true. Some attorneys still use a dark marker to manually cover over confidential information. Much like the Manafort case mentioned above where a simple color change in an electronic document didn’t completely hide text, using a marker on paper may also fail. Lawyers have an ethical duty to preserve clients’ privileges and property. So, aside from risking potential civil liability, lawyers also could face disciplinary action when they fail to properly redact court documents. Lawyers who fail to properly redact information in confidential documents could run afoul of the American Bar Association’s rule on safeguarding client property, which has been adopted by most states. We’ll publish Part 3 – Load File Failures – on Friday. In Udeen v. Subaru of America, Inc., No. 18-17334(RBK/JS) (D.N.J. Mar. 12, 2019), New Jersey Magistrate Judge Joel Schneider denied the defendants’ request that all discovery be stayed until their Motion to Dismiss is decided, but, with the proviso that only limited and focused discovery on core issues would be permitted. In this nationwide class action with allegations that the defendant’s defective infotainment system creates a safety hazard, the defendants filed a Motion to Dismiss on February 28, 2019 and requested that all discovery be stayed until their motion was decided. The plaintiffs opposed the defendants’ request, so the Court received the parties’ letter briefs and held oral argument. As a result, Judge Schneider stated: “After examining all relevant evidence, the Court finds the relevant factors weigh in plaintiffs’ favor and, therefore, the Court will deny defendants’ request to stay all discovery.” So, Judge Schneider ordered both the defendants and plaintiffs to produce certain documents and for the parties to meet and confer regarding certain other documents, noting: “The Court also finds that defendants’ documents in Japan are not necessarily off-limits. However, the Court is concerned plaintiffs’ requests are too broad. The Court will only permit narrow and focused discovery requests asking for core information. The parties meet and confer discussions shall also address plaintiffs’ request for third-party discovery. To the extent the parties cannot agree on the discovery to be produced, simultaneous letter briefs shall be served by April 15, 2019”. So, what do you think? Should discovery ever be stayed because a motion to dismiss is pending? Please let us know if any comments you might have or if you’d like to know more about a particular topic. Hat tip to Jeff Dreiling and the Complete Legal blog for the tip about the case! Case opinion link courtesy of eDiscovery Assistant. Why Does Production Have to be Such a Big Production? Tom’s overview is split into four parts, so we’ll cover each part separately. Here’s the first part. Discussions of a “database production” typically refer to a collection of ESI loaded into e-discovery software in a form other than its native (original) format. As a result, a load file may be necessary to organize and maintain original information about the documents and accompanying metadata. We’ll talk about those problems in more detail below but let’s be clear that production problems may revolve around other issues beyond load files. So, why is this happening? Well the first reason is because it is an issue involving technical components and lawyers, who, by and large, simply aren’t good at technology. But lest we blame it all on the lawyers, let’s keep in mind that tech people don’t make good legal analysts. And neither of them are good communicators when it comes to technical issues so the potential for problems during productions is enormous. We’ll publish Part 2 – Redaction Issues and Confidentiality Considerations – on Wednesday. In Wakefield v. Visalus, Inc., No. 3:15-cv-1857-SI (D. Or. Mar. 27, 2019), Oregon District Judge Michael H. Simon denied the plaintiff’s motion for sanctions against the defendant for automatic deletion of call records, ruling that since the plaintiff knew about the deletion of call records for over two years, her motion was “untimely”. In this class claim related to alleged violations of the Telephone Consumer Protection Act (“TCPA”), the defendant used an automated telephone system called the “Progressive Outreach Manager” (“POM”), which the plaintiff contended generated and maintained historical records of each calling campaign and each call attempted by the defendant. The POM system’s ESI was programmed to be automatically deleted after three months and, even though the defendant was on notice since October 2015 that it had a duty to preserve the information contained in the POM system, the plaintiff claimed that the defendant failed to suspend the call records’ automatic deletion. The plaintiff pointed to statements made by the defendant’s corporate representative and compliance analyst, during his deposition in December 2016 as evidence that these call records had been automatically deleted. For many of those calls, the defendant maintained contact information spreadsheets containing all of the POM system information, so that data was replaced through other sources. However, the plaintiff contended there were 1.7 million calls that were not within the contact information spreadsheets that were deleted from the POM system, asserting that the lost call records would have proven that 350,228 of those calls delivered a message using an artificial or prerecorded voice to class members. 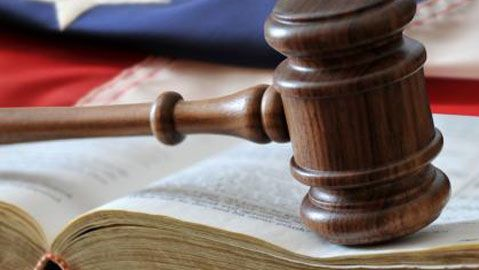 In February 2019, the plaintiff asked the Court to order sanctions against the defendant, including instructing the jury that the defendant deleted call records and that the lost information was unfavorable to defendant. The defendant argued that the motion was untimely, among other arguments against the motion. So, what do you think? Was that the correct call or should the plaintiff have been given the time to determine what she was missing? Please let us know if any comments you might have or if you’d like to know more about a particular topic. We have covered Europe’s General Data Protection Regulation (GDPR) over several posts the past couple of years and even conducted a webcast on the topic last year. And, we have covered the California Consumer Privacy Act (CCPA) several times as well, including as recently as last week. But, what about the rest of the wide, wide world? Do countries in other parts of the world have data privacy policies as well? Yes. Do they mimic GDPR policies? Not necessarily. As reported in Legaltech News (Data Protection Laws Take Center Stage For Global GC, written by Caroline Spiezio), lawyers are saying that ignoring data privacy changes outside of Europe, or assuming GDPR policies will comply anywhere, may lead to fines or diminished consumer trust in other regions. For example, Camila Tobón, a Colorado-based data privacy lawyer at Shook, Hardy & Bacon, said many countries in the Latin America follow a consent-based model, which doesn’t allow for the legitimate interest data collection case presented under GDPR. She said many Latin American countries with data privacy laws used Spain’s consent-based version of the 1995 Data Protection Directive (the predecessor to GDPR in Europe) to shape their regulations. However, Brazil’s General Data Protection Law, which passed in 2018, includes the case for legitimate interest collection, which closely aligns that country’s laws with Europe’s. And, other countries in Latin America are working on changes as well. Chile recently voted to create a national data protection authority. Panama’s National Assembly approved a national data protection regulation last year that currently awaits the president’s signature. An updated Argentine bill to bring the country’s data protection regulations closer to Europe’s with a legitimate interest model and data protection officer requirement is also in the works, with a draft standing in front of Congress. Beyond Latin America, other countries are making (or considering making) changes as well. The Corporate Counsel Association of South Africa’s chief executive officer Alison Lee said she expects to see the country implement the Protection of Personal Information Act this year. Unlike GDPR, POPIA asserts companies also have “personal data” that requires protection. South Africa currently doesn’t require explicit consent to collect data or legitimate interest, but it does require some form of consent. Nigeria could also see data protection changes, as it has long attempted to pass a specific data protection bill. So, what about Asia Pacific (APAC)? Scott Thiel, a Hong Kong-based DLA Piper partner, said, since GDPR’s implementation, he’s increasingly asked questions about data protection in Asia. So, what do you think? Are you prepared for data privacy changes around the rest of the world? Please share any comments you might have or if you’d like to know more about a particular topic. As I’ve been saying for a while now and will be discussing with Tom O’Connor in our webcast on April 24, discovery isn’t just for litigation anymore. Drivers for compliance and investigations are growing to the point that discovery activities are about as likely to support those needs as they for litigation. And, for law enforcement, investigations are the primary discovery driver. So, what are some of the trends they see with regard to the types and sources of evidence associated with these investigations? A new report by Cellebrite, a leader in forensic collection for cellular phones and mobile devices, sheds light on those trends. What types of digital sources are being used in investigations. Which digital sources and data are most frequently used and considered the most important. The challenges to accessing digital data. The impact to productivity and ability to resolve investigations. Mobile phones are the most frequently used and most important digital source for investigations. The variety of digital sources used in investigations in increasing and now includes sources such as wearables and smart home technology being used more frequently in investigations. Two most common challenges to extracting data from mobile phones are locked phones and encrypted data. Law enforcement agencies are averaging three-month backlogs on investigations. Despite the backlogs and the variety of digital sources and the amount of digital data that typically need to be reviewed in an investigation, the vast majority of law enforcement agencies are reviewing this information manually instead of using analytics solutions. Smartphones remain the primary source for digital evidence with 91% of respondents indicating that evidence sources from smartphones were an evidence source “very frequently” (81%) or “frequently” (10%). Computers were a distant second at 52%, followed by CCTV (i.e., surveillance systems) and feature phones (those “lacking the functionality of smart phones”) at 45% each. And, many of the top data types reviewed during an investigation are likely to be from mobile device sources, including Images from Digital Evidence (at 94% total “very frequent” and “frequent”), Text messages (93%), Videos from Digital Evidence (90%) and Location History from Digital Evidence (86%), among others. The report contains many more stats, including percentage of cases involving data from cloud sources, time spent reviewing various sources of data, time spent on reporting and caseloads, among other things. According to Cisco, monthly global mobile data traffic will be 77 exabytes by 2022, and annual traffic will reach almost one zettabyte (if you didn’t know already, a zettabyte is 1 trillion gigabytes). And, the report notes that 85% of criminal investigations include some form of digital data, so establishing the relevancy of collecting digital data was not a focus of the survey. You can click on the link above to download a copy of the report or view an insert of the report within Rob’s blog. So, what do you think? Does it surprise you that law enforcement investigations are so heavily focused on mobile devices? Please share any comments you might have or if you’d like to know more about a particular topic. In Marshall v. Brown’s IA, LLC, No. 2588 EDA 2017 (Pa. Super. Mar. 27, 2019), the Superior Court of Pennsylvania, ruling that the trial court “abused its discretion in refusing the charge” of an adverse inference sanction against the defendant for failing to preserve several hours of video related to a slip and fall accident, vacated the judgment issued by the jury within the trial court for the defendant and remanded the case for a new trial. Nonetheless, the defendant decided to preserve only thirty-seven minutes of video prior to the plaintiff’s fall and approximately twenty minutes after, and permitted the remainder to be automatically overwritten after thirty days. The defendant’s Risk Manager (Matthew McCaffrey) testified that it was the store’s “rule of thumb” to preserve video surveillance from twenty minutes before and twenty minutes after a fall. The plaintiff contended that the defendant’s conscious decision not to retain the video evidence constituted spoliation, and she asked the trial court to give an adverse inference charge to the jury. But, the trial court concluded that there was no bad faith by the defendant and refused to give the requested adverse inference charge, but did agree, that the plaintiff’s counsel could argue to the jury that it should infer from the defendant’s decision not to retain more of the video prior to her fall that the video was damaging to the defendant. Despite that, the jury returned a verdict in favor of the defendant, finding no negligence. The plaintiff filed timely post-trial motions alleging that she was entitled to a new trial because the trial court erred in refusing to give the requested spoliation instruction to the jury, but the trial court did not rule on the motion, so she appealed, asking if the trial court abused its discretion by declining to read a spoliation of evidence instruction to the jury at trial. So, what do you think? Should the judgment have been thrown out over the defendant’s failure to preserve the rest of the video? Please let us know if any comments you might have or if you’d like to know more about a particular topic. When I spoke at the University of Florida E-Discovery Conference last month, there was a question from the live stream audience about a lawyer’s duty to disclose a data breach within his or her law firm. I referenced the fact that all 50 states (plus DC, Guam, Puerto Rico and the Virgin Islands) have security breach notification laws, but I was not aware of any specific guidelines or opinions relating to a lawyer’s duty regarding data breach notification. Thanks to an article I came across last week, I now know that there was a recent ABA opinion on the topic. An article written by Anton Janik, Jr. of Williams Mitchell and originally published in the 2019 Winter edition of The Arkansas Lawyer and republished on JD Supra (The Lawyer’s Duty When Client Confidential Information is Hacked From the Law Firm, hat tip to Sharon Nelson’s terrific Ride the Lightning blog for the reference) takes a look at a lawyer’s duties following a data breach and discusses the requirements of ABA Formal Opinion 483, which was issued in October 2018. That’s what happened to DLA Piper and the 4,400-attorney law firm was “reduced to conducting business by text message and cell phone” until the situation was resolved, requiring 15,000 hours of overtime IT assistance, though they sustained no reported loss of client confidential information. Of course, as you probably know by reading this blog, the DLA Piper situation isn’t unique. A recent American Bar Association report stated that 22% of law firms reported a cyberattack or data breach in 2017, up from 14% the year before. The ABA Opinion discusses three duties under its Model Rules: the duty of competence, the duty of communication, and the duty of confidentiality. While the ABA Opinion focused narrowly upon the ethical duties it sees arising between an attorney and client, it is important that you understand “the types of data you work with, and keep yourself abreast of what laws, regulations and contractual provisions govern its loss” (I just pointed you to a resource for breach notification laws up above). Janik’s article covers stopping the breach, restoring systems and determination what happened and the cause. Best practices (and often your cybersecurity insurance coverage) dictate that your law firm should draft, and regularly train on, a breach response plan which defines personnel roles and procedural steps to employ in assessing and addressing any given breach, including through the use of outside vendors whose use may be contractually prearranged. So, what do you think? Were you familiar with ABA Formal Opinion 483? Does your firm have a formalized breach response plan? Please share any comments you might have or if you’d like to know more about a particular topic.